TGV Cinemas has appointed AdParlor Asia Pacific as its media agency for Malaysia. This follows a pitch ran by TGV Cinemas at the end of 2017, where seven agencies participated. The agency in Malaysia will be responsible for handling communication planning, media strategy, media planning and buying for TGV Cinemas in Malaysia. According to Mohd Kabir Ariff Sultan, general manager of marketing and operations, TGV Cinemas, AdParlor presented a “compelling approach” of data, tech and media that would help the brand significantly drive its aspiration of exceptional customer experience specifically in the digital space. Dheeraj Raina, managing director, AdParlor Malaysia also said in a press statement that movie viewing is no longer about just movies, but about the overall experience. 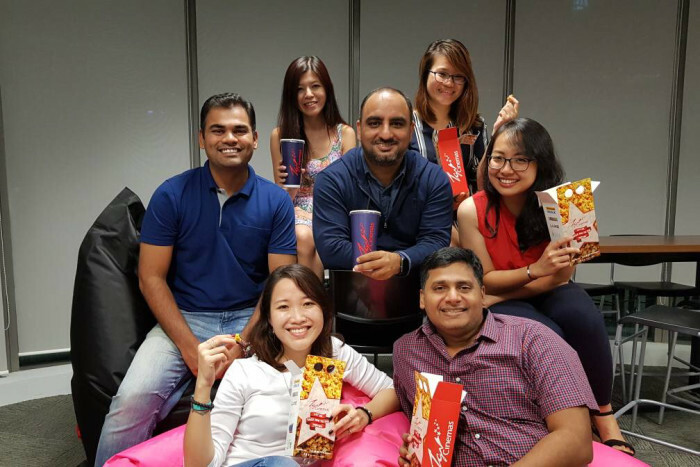 “Through our data driven, hyper-personalised marketing approach, we intend to deliver that experience to every Malaysian movie-goer. Our vision is to bring science into the business of cinemas and drive commercial growth for the brand,” Raina added. P&G’s Always brand has launched its next phase of its #Likeagirl campaign. ..
"Look for opportunities in every digital campaign. The reward may not necessarily be immediate, but the gold mine is definitely in..
Publicis Singapore is launching its global healthcare brand in Singapore and has named Sharon Tan as the general manager of the un..